It is no secret that mobile smart phone usage is exploding. Every marketer is trying to figure out the best way to attack this segment. One key differentiator between mobile and desktop is the local nature of mobile, yet many marketers seem to be ignoring it. The key to a mobile local campaign is the Mobile Local Landing page. 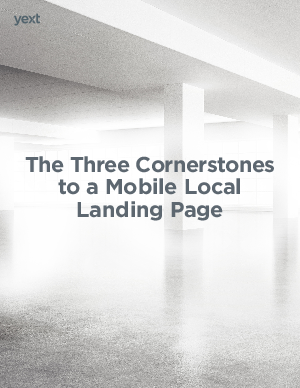 Download this whitepaper to find out the 3 cornerstones to a successful Mobile Local Landing Page.